In Harbom v. Harbom, 134 Md. App. 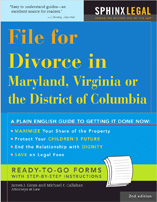 430 (2000), the Court of Special Appeals explained the rules in Maryland for prenuptial agreements. The real test is whether there was overreaching. That means whether in the atmosphere and environment of the confidential relationship between a man and a woman about to get married, there was unfairness or inequity in the result of the agreement or in its procurement. There has to be frank, full and truthful disclosure or actual knowledge of what is being relinquished. If you want to break the agreement and can show lack of disclosure or knowledge, then the burden is on the other party to show that you entered into it freely and voluntarily and with full knowledge of its meaning and effect. I was wondering, before my husband and I married we entered into a prenuptial agreement. We only had his attorney because I was not working I was staying at home taking care of our 2 children and had no source of income. We now are reaching a dissagreement about our debts and I believe that we may be heading for divorce. I was shall we say “co-orsed” into signing this both by him and his father. I know that he is hiding money from me. Is there any way to get out of this?